of imaginary achievements except if the intention is to set up President Muhammadu Buhari for national and international ridicule. The party said it was embarrassing that the APC and aides of President Buhari decided to invade the minds of Nigerians with propaganda and tissues of lies instead of assisting the President who was inaugurated three weeks ago to settle down, form a government and deliver his campaign promises to Nigerians. 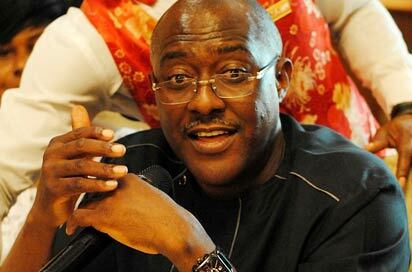 PDP National Publicity Secretary, Chief Olisa Metuh in a statement on Thursday said “the nation and democrats world over were thoroughly embarrassed by the frivolous list of so-called achievements which has further exposed APC’s lack of capacity andDIRECTION as well as the inability to draw a line between propaganda by an opposition party and disseminating of credible information as a party in government”. “How can a serious government start shouting achievements and make bogusCLAIMS on the fight against terrorism when the effort is apparently losing steam as insurgents who had already been pushed to the verge of surrender in the Sambisa forest by the Goodluck Jonathan administration are now surging back into the country under the APC-led government? “How can a serious government shout achievement based on pledges by foreign interests, a dangerous slide towards neo-colonialism, instead of settling down to galvanize bequeathed resources and potentials that have already placed our great country as one of the fastest emerging economic and political powers in the world? “How can a serious government shout achievement and attempt to explain away the untidy fact that after three weeks, it has not been able to organize itself even to take basicsSTEPS of conventional appointments such as Secretary to the Government of the Federation (SGF), Chief of Staff to the President and advisers in key sectors of the economy. We ask, is the APC celebrating that fact that due to its naivety and delays, key sectors of our nation’s economy are dangerously drifting with a perilous crippling of foreign and domestic investments including activitiesIN THE MONEY and capital market sectors? “Our promise has been to engage in credible opposition and provide alternatives andOPTIONS to the policies and programmes of the APC-led Federal Government in the general interest of the nation, but alas, in less than one month, even with the stability bequeathed by the Jonathan administration, we have only witnessed inexcusable confusion and administrative naivety in the handling of important issues as seen in their poor outing at the inauguration of the National Assembly, unnecessary delays in the setting up of structure for the executive arm and the worrisome inability to urgently provide a national economic direction, among others. “This is a party and government that promised Nigerians that they will hit the groundRUNNING once elected into office but what we have seen so far is a government and party that hit the ground and remained on the same spot for sheer inexperience and unpreparedness for governance. “We therefore urge the APC to stop embarrassing the nation with premature and unsubstantiated celebration of imaginary achievements especially if they ever want to be credible and responsible people, as sincerity and not propaganda remains theHALLMARK of trustworthy administration. "The APC should not by any means attempt to use its flimsy list to divert attention from its numerous campaign promises for which the people are holding themACCOUNTABLE. “We wish to inform the APC that the Nigerians will not take anything short of the commencement of thePAYMENT of monthly N5, 000 each to 25 million poor citizensBEGINNING from the end of this month; ending of insurgency by the end of July as promised by President Buhari in his April 2, 2015 CNN interview; payment of monthly allowance to discharged but unemployed Youth Corps members, free meals to school children and bringing the naira to the same value with the dollar; among other bogus promises upon which they gained access to power. “Finally, we advise the Presidential spokespersons to allow Nigerians to judge the President as EVENTSand time will prove exactly the taste of the old wine”, the PDP said.